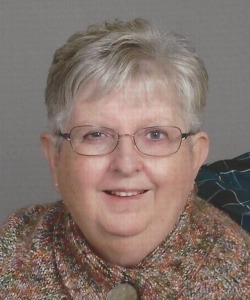 Joanne J. Hellwig, age 75, of Omro, passed away Monday, April 1, 2019, with her husband beside her after a long illness. She was born November 25, 1943, in Milwaukee to Elmer and Johanna Juds. Joanne attended Mt. Lebanon Lutheran Day School and was a 1961 graduate of Custer High School in Milwaukee. In 1965 Joanne earned a degree in Early Childhood Development from UW-Milwaukee. On July 31, 1965, she married her high school sweetheart, Herbert Hellwig, at Mt. Lebanon Lutheran Church. Joanne taught for the Milwaukee Public School System. Joanne was an exceptional and devoted mother and was an active volunteer and leader for her children’s schools and activities. They lived in Wauwatosa for many years before moving to Omro in 2002 to live in a home that Joanne helped design and build. Joanne and Herb loved to travel by air, land, and sea including most of the U.S. and many foreign countries. She was a member of St. Paul’s Ev. Lutheran Church, Winneconne. Joanne is survived by her husband of 53 years, Herbert Hellwig; a daughter and son-in-law, Kirstin T. Hellwig and Tom Kleman; a son and daughter-in-law, Jason Foster and Camille Hellwig; two granddaughters, Kathryn and Charlotte Hellwig; her twin sister and brother-in-law, Janet and Dan Farchione; and other relatives and friends. Preceding Joanne in death were her parents. A visitation for family and friends will be on Friday, April 5, 2019, from 9:00 to 11:00 a.m. at St. Paul’s Ev. Lutheran Church, 8 S. Fourth St. Winneconne. A funeral service will be held on Friday at 11:00 a.m. at the church with Pastor Ben Berger officiating. Burial will be in Wisconsin Memorial Park, Brookfield. In lieu of flowers please make any contributions to St. Paul’s Ev. Lutheran Church. A loving thanks to all the wonderful caregivers at Eden Meadows in Oshkosh and Country Villa in Omro. Herb, please accept our condolences for your family’s loss. May you and your family be comforted by the love and memories you shared with Joanne and the outpouring of thoughts and prayers in you time of sorrow. God bless Joanne and all of the Hellwig family A contribution to the General Fund of St. Paul’s Ev Lutheran Church in Winneconne has been made in Joanne’s memory. It was sad to learn of Joanne’s recently passing. She was part of the Northwestern Mutual family and I always enjoyed talking with her at the NM functions. Rosie Hofman once told me and it is so true that “grief is the price of love”. Our heartfelt sympathies are with you and your family at this difficult time. Herb, was sad when I saw the obit about Joanne in the Journal today. Wish you and your family the will to persevere through this ordeal. Be well. Please accept our condolences for the loss of your dear wife, Joanne. She was a very special person. You and your family are in our prayers.